From the perspective of terminal consumption, molybdenum is mainly used in the fields of energy, infrastructure, transportation, aerospace, and military industry, which obviously benefits from the third industrial revolution in the world, and will drive the recovery of molybdenum waste industry back to the high-speed growth track in the next 10-20 years. Energy is the lifeblood of the economy. With the deepening of global exploration activities and the implementation of a large number of planned oil pipeline projects, the increase in demand for molybdenum in the future will be considerable. In recent years, the international situation has become increasingly complex, which will drive a large amount of molybdenum consumption in the military industry. Molybdenum can be used as an inner liner for explosive warheads, known in the military as a hood, which can penetrate and cut deep in the military and industrial applications. In such devices, the explosive around the lining explodes in a controlled manner, causing the lining to deform in a very peculiar way. Deformation causes the lining material to produce bar fragments with extremely high speed and tension, which can penetrate deeply into the target. Nuclear power equipment contains many heavyweight parts and pipelines, all of which need to use a large amount of molybdenum steel, such as the condensing alloy pipe containing 4-5% molybdenum. It is conservatively estimated that a new 1-megawatt reactor would require about 180-230 tons of molybdenum. At the same time, the upgrading of existing equipment will also pull the industry of recycling waste molybdenum. The International Energy Agency (IEA) expects global nuclear capacity to rise by 41% by 2030 from its current level. Molybdenum is used in the components of LCD, which can greatly improve the performance of LCD in brightness, contrast, color, and life. 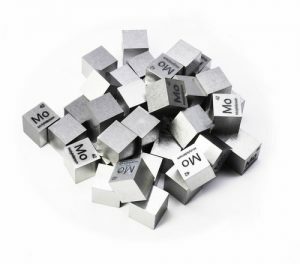 Molybdenum has been used to replace traditional materials such as nickel and chromium in LCD production chains in Europe, the United States and Japan due to its strong environmental protection performance, small size and power saving features. Molybdenum is deposited on the tip of the emitter by electron beam evaporation in the flat-panel display process, which has a great prospect for the development of large-screen and high-definition television. Solar cells and photovoltaic materials are promising technologies, but the conversion rate of solar energy is not high for a long time. One of the restraints on the development of CdTe devices is that the vast majority of metal films cannot form electrical connections with their own resistances. If the application of molybdenum film or molybdenum disulfide film can not only be combined with the glass base, but also the conversion rate can be improved, it will be of great significance to popularize the application of solar cells and photovoltaic materials. Molybdenum trioxide film as a gas sensor shows a linear change in resistance when it is exposed to trace ethanol vapor in the air. 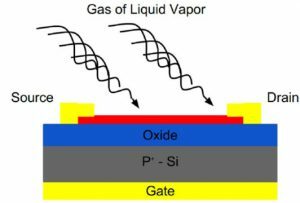 In addition, molybdenum oxide films can also be used as sensor parts for detecting trace amounts of carbon monoxide (14 ~ 100mg/kg), nitric oxide, ammonia, and other gases. Molybdenum oxide or molybdate can emit a single green light or orange light, which can be used as the source of three primary colors in color display and can be used in the large-size color display. This film has the characteristics of electricity, light, surface roughness and tissue uniformity, which is better than similar ITO or Zn-doped ITO in terms of its transparency, conductivity, and low performance, tissue evenness, and surface roughness. Stanford Advanced Materials supplies high-quality molybdenum and related products to meet our customers’ R&D and production needs. Please visit http://www.samaterials.com for more information.